It’s 5 p.m. — time to clock out and get ready to work out. But lunch was hours ago, and now you’re zombie-level starving. So, what’s the best snack to fuel your p.m. workout? Your pre-workout snack should definitely be carb-heavy, but it’s not that simple. “First you need to ask yourself what your goal is,” says Chad M. Kerksick, Ph.D, an assistant professor of exercise science at Lindenwood University in Missouri. Are you going to do cardio or strength training? Each objective calls for a different pre-and post-exercise snack strategy. So what should you eat? “The type and amount of food will depend on what type of workout you plan to do, your fitness/health goals, and how long you have until your workout,” says Krista Haynes, R.D., C.S.S.D., and nutrition manager at Beachbody. How Far Ahead of Your Evening Workout Do You Need to Eat? Let’s start with the timing of your meal or snack: There’s no hard-set rule on how far ahead of your evening workout you need to eat. Haynes suggests figuring out how much time you have before your workout, then counting backward to determine how much, if anything at all, you should eat before an after-work sweat session starts. If you have 30 minutes or so: “You could either skip the snack if you’ve fueled yourself well throughout the day and don’t have an intense workout planned, or if you’re hungry and low on energy, you can eat a small, easy-to-digest snack,” advises Haynes. If you have an hour: Haynes says you should still keep it pretty light and focus on carbs. Depending on how long ago you ate, your body may be running low on glycogen, especially if you’re following a calorie-restricted eating plan. Just keep in mind it takes a few hours for food to digest and when you work out, blood moves away from the intestines and toward the working muscles. If you give your stomach too much to handle too close to a workout, you may experience some digestive issues. 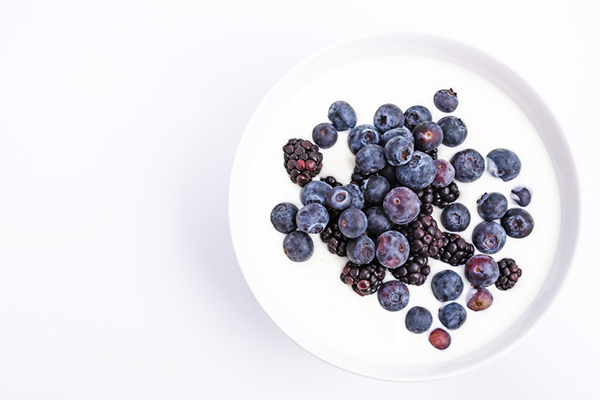 A good snack choice would be around 150 to 200 calories — perhaps a slice of toast with a touch of nut butter or some yogurt topped with berries. If you have two hours: “Bump it up a little bit,” she says. Focus on carbs, but don’t be shy to add a little bit of protein or healthy fats. A small bowl of oatmeal (even if it’s not breakfast time) with sliced banana and a few walnuts could hit the spot, or a pre-workout smoothie can easily hold you over and fuel your evening workout. A balanced meal with some complex carbs, lean protein, and healthy fats can fuel you and provide steadier blood sugar delivery so that your afternoon workout will rock. If weight loss is your goal, you’ll keep overall calorie intake in mind. “Perhaps shifting some carbs from breakfast to your pre-workout meal could not only help fuel your evening workout, it helps keep your daily calories in check,” says Haynes. When you’re working on growing your muscles, the American College of Sports Medicine discourages working out on an empty stomach and encourages providing enough energy, including protein, to promote new muscle growth and repair. “Pre-workout protein consumption isn’t as widely accepted in the science community, but post-exercise protein intake most certainly is,” says Haynes. You’ll want to aim for about 20 to 30 grams of protein post-workout, and keep those amounts in mind as a protein goal for each meal. No matter what your fitness goal is, you’ll want to make sure you’re eating enough during the day. 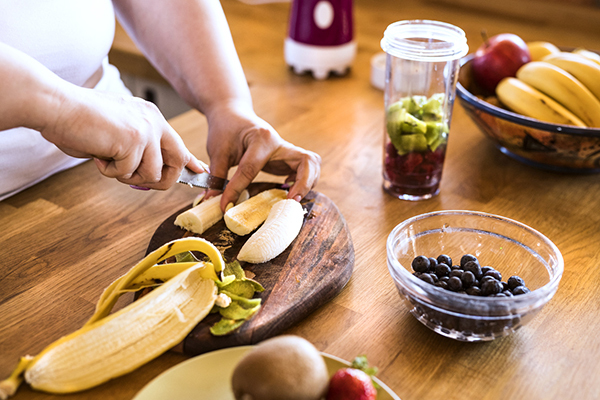 “You don’t want to under fuel your body, so consuming well-balanced meals throughout the day will provide enough energy to fuel your workouts and help your body recover post-workout,” says Haynes. How Many Calories Do You Need Before an Afternoon Workout? Caloriewise, Haynes says you’ll need to consider your total daily calorie needs in addition to what you’ve had that day — and how long you have until you plan to work out. “Fat can often cause digestive issues,” she advises, so skip it or include minimal amounts in your pre-workout snack. What are her favorite snacks to fuel an evening workout? Haynes shares these as some of the best snacks to fuel your p.m. workout. If you’re about to rush out the door to work out (like, right now! ), refer back to her suggestions for eating with less time to spare before a workout. After all, nobody likes bonking during a workout! When you’re focused on building muscle or burning fat, pre-workout fueling can get a little more complicated. The macro breakdown of what to eat before an evening strength-training workout “would vary depending on what stage you are in,” says Haynes, adding that your needs are different in the bulking versus cutting phases of a program, for example. “However, the protocol is similar to cardio, as you want to be sure your muscles have enough glycogen to fuel your lifting,” Haynes says. In other words, before your evening workout is not the time to embrace the low-carb lifestyle. Carbs are “a primary fuel source, so they need to be there in adequate amounts,” adds Kerksick. Unlike with strength training, what to eat before an evening cardio workout is pretty straightforward most of the time. If you’re doing endurance or cardio activities (especially for over an hour), you want to keep your glycogen stores topped off, says Haynes. “Choosing carbohydrate-rich foods will help keep you fueled throughout your workout,” she says. What about less-intense workouts? Do you know what to eat before evening yoga? Down dog with a full belly is a mistake you’ll only make once! “For lighter activities like yoga, fueling isn’t as important,” says Haynes. 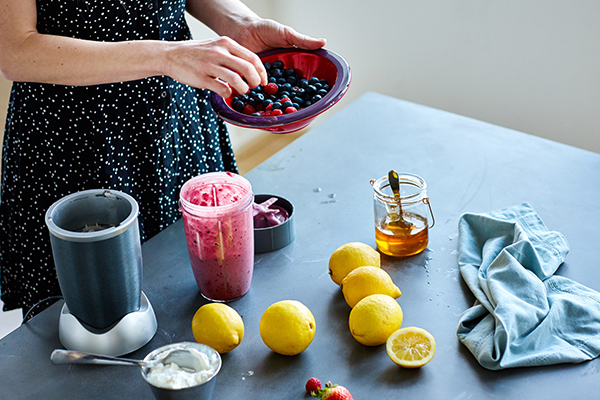 Less is more when fueling before evening yoga. “Due to the twists, core-based postures, and breathwork (aka pranayama),” it’s often advised to have an “empty” stomach when you do yoga, says Haynes. How Can You Energize Your Evening Workouts? The snacks she shared “should help without keeping you up late at night like caffeinated beverages,” she says. But caffeine affects everyone differently. “Some may tolerate caffeine at night without compromising sleep,” she says. “Also keep in mind that working out late at night may also be a culprit if you’re not getting quality shut-eye.” Talk about robbing Peter to pay Paul! Before your next after-workout exercise session catches you unprepared (aka hungry and tired), consider planning ahead and thinking about that all-important recovery phase, sleep. Here’s how exercise can help you sleep better, and then figure out when to stop eating at night (you’ll also find out what to eat before bed to set yourself muscles up for recovery while you rest). What you should eat before an evening workout depends on the type of workout you’re doing and how much time you have. Keep it small and simple, embrace carbs, and you’ll be ready to crush your evening workout!